Build exercise muscle… which exercises are best for this? Well, it doesn’t take a rocket scientist to answer that. Actually, that’s probably because we sure don’t see many buff rocket scientists, now do we? Most rocket scientists, with all their fame, fortune, and notoriety, still appear to be 115 pounds soaking wet in a white lab coat. But that is beside the point. To build exercise muscle you need to just plain out train hard. Harder than you currently train. Harder than most of the sissies in your gym. Harder than your coach screams at you. 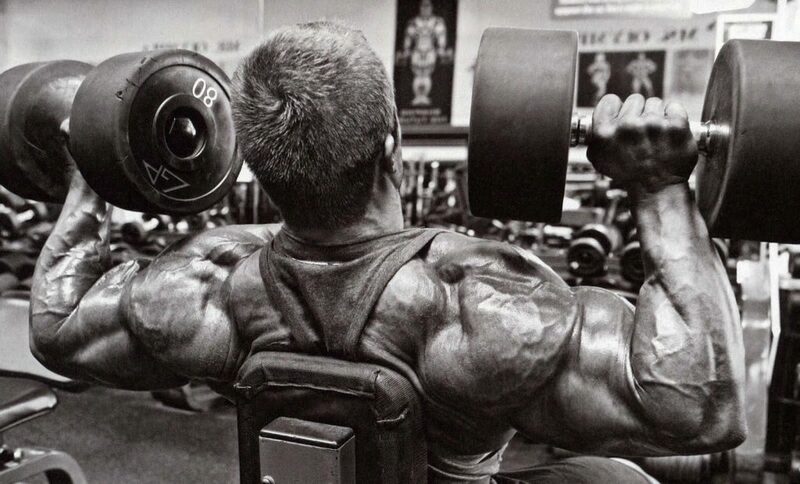 And definitely, you will want to train harder than what you see on pro bodybuilder DVD’s. What’s that? But those are pro bodybuilders, you might say. They have the best physiques in the world. They out-train everybody, right? Sorry, Charlie. They have the best steroid regimens in the world. They possess the densest muscle bellies genetics can deliver. They have better muscle insertions and ‘lines’ than you can every hope to be reincarnated with. And above all, they do nothing but lift, eat, sleep, inject, and goof off most of their days. They live to grow. Their bodies are genetically blessed machines being fed the best drugs money can buy, supplied with plenty of protein from their supplement ‘deals’, and allowed to lift and rest 24/7. It’s a good life, and chances are, it’s not the life for you. So to build exercise muscle without living in that world, you need a shot of realism. Do you need some further tips on how you can build up some muscle? Think outside the box. Train closer to home. When you drive 20 minutes to the gym, you’re going to miss a lot more days than if you live 3 minutes from it. Get a home gym, if at all feasible. Learn to cook. That’s not so hard, is it? Either you can pay $7 for five ounces of chicken from a drive through, or you can cook up five pounds of it for ten bucks. Do the math, genius. It makes much more sense to get off your tail, waddle your future Mr. Olympia backside to the kitchen, and cook plenty of the food your body needs to grow. And learn to hike already, will you? Cardio on the treadmill is so unoriginal. You can stare at that SportsCenter screen for only so long before you give up on cardio and your body fat levels careen of a cliff, crippling your totally lucrative guest posing career. Stay lean doing something you like. Hiking rocks. And for Pete’s sake, find more ways of your own to get creative with delivering consistency to your training, diet, and supplementation. No more tuna pouches in the movie theater, deal? No more skipping your wedding rehearsal for calf day. No more ignoring your mother’s phone calls because “she totally makes me feel catabolic”. Grow up, grow some muscle, and have a great evening! This entry was posted in Bodybuilding, Training and tagged Cardio Training, Diet, Supplements. Bookmark the permalink.